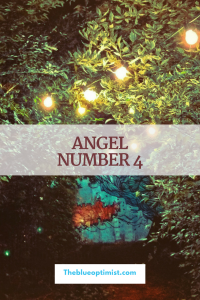 Angel Number 4 carries the energy of patience, guidance, progress, loyalty, stability, and justice. It also represents the 4 elements: Earth, Wind, Fire, and Water, as well as the 4 directions: North, South, East, and West. 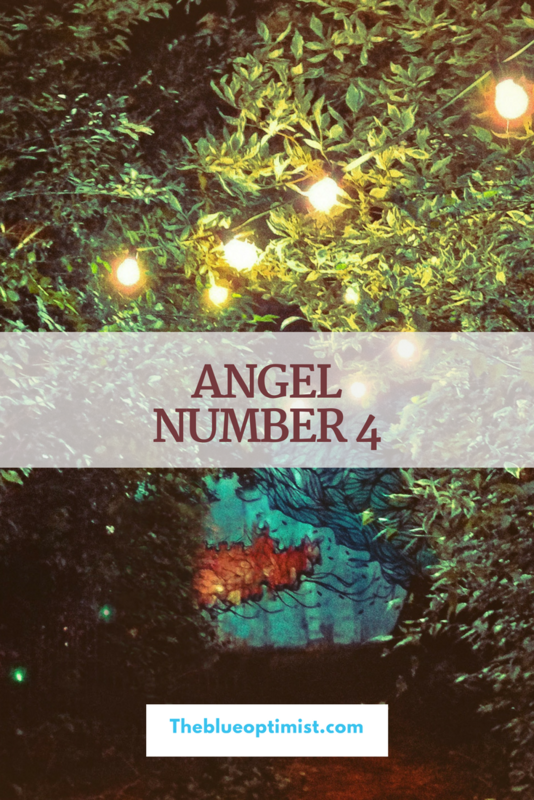 Number 4 is an offer of support and encouragement from your angels. It is a nudge to get organized and pursue your goals. Set the intention for achievement and success, and The Universe will respond accordingly. Now is the time to focus on building a solid foundation. Take the time to write out, and get clear on, your plans moving forward. You have the skill set to accomplish all that you desire. Trust the process. Don’t forget to join our FREE Private Facebook group for support on your Journey Through Self-Discovery. If you find the information on this site to be helpful please feel free to LIKE The Blue Optimist on Facebook and leave a review. I would also greatly appreciate any donations made to The Blue Optimist. Love and light. Eiram A Nairb is a Mindset and Manifestation Expert. Titling herself, the "Inner Magic Release Specialist," Eiram shares knowledge on how to connect with one's Highest Self to create the life of your dreams.